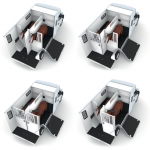 Our New Proteo Switch boasts a new dynamic design, a cabin that has been re-designed for comfort to optimize the space and in the horse area a new and exciting layout with the option of eight possible configurations. 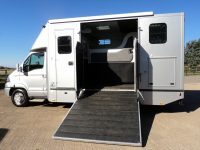 Each customer and their horses have their own preference of how they like to travel. 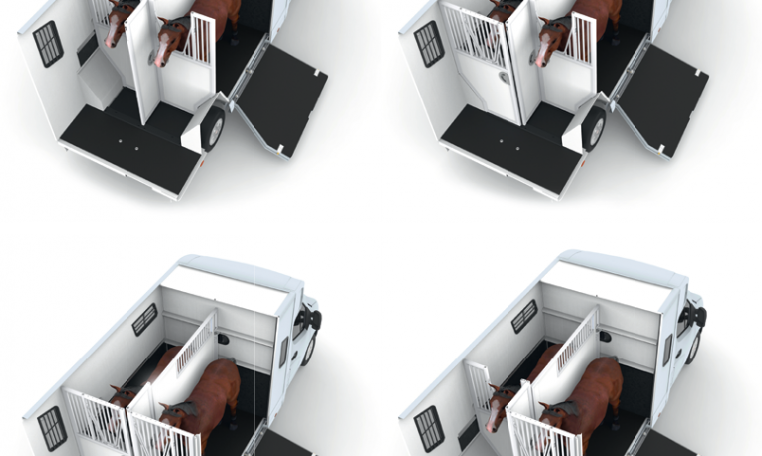 We can now offer this unique option to adapt the configurations that suits each horses’ individuals needs. As the result of the latest technological advances, the Proteo Switch model is the best choice for uncompromising performance. A genuine professional working tool, it has been designed to be more practical, ergonomic and safer for horses. This 3.5 tonne model comes with a 3 seat cab or 5 seater option. The newly designed cabin offers more comfort and the re-configured design offers storage under the rear seat. 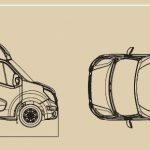 This maximises the space in the rear of the cabin to give maximum storage space. This model can come very simple or can be made as luxurious as you desire. 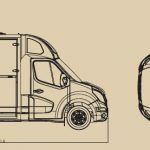 Built on the latest Euro 6 Renault Master chassis with 170 HP engine, with manual or auto transmission, the Proteo Switch guarantees full driving enjoyment thanks to its modern and efficient engines. 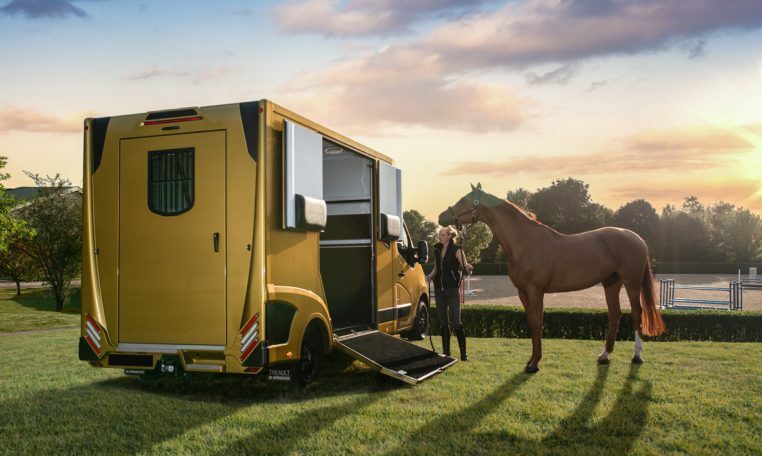 The powerful engines enable to easily couple a trailer to your horsebox and also ensures better fuel efficiency, more endurance and a quieter performance. The Proteo Switch model reflects perfectly our thorough understanding of what horse people need. This vehicle answers uncompromisingly the demands of all professionals or demanding amateurs. As a result of the new design the Proteo Swtich now offers a possible unique eight configurations this is to make it even more enjoyable for you and your horses when travelling. 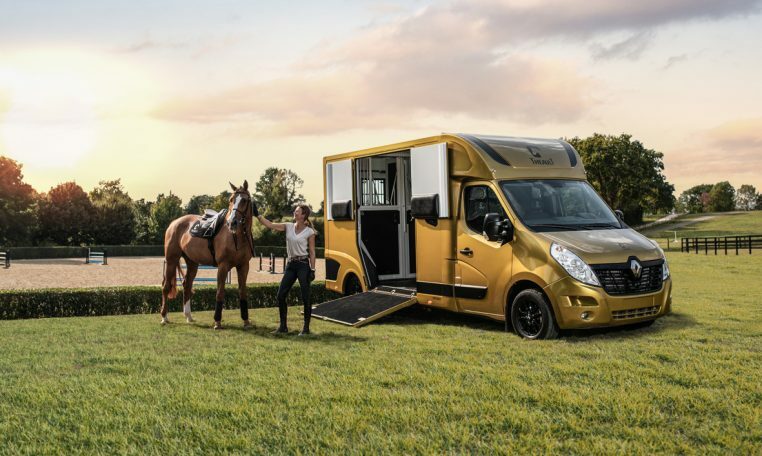 Every detail is thought to make the use of your horsebox practical and pleasant. Through its broad choice of options and layouts the Proteo Switch turns into the perfect fit for the needs and requirements of your activity. The tack room design enables optimized storage space with added furniture, shelves, saddle and bridle-racks, hanging rails and seating. 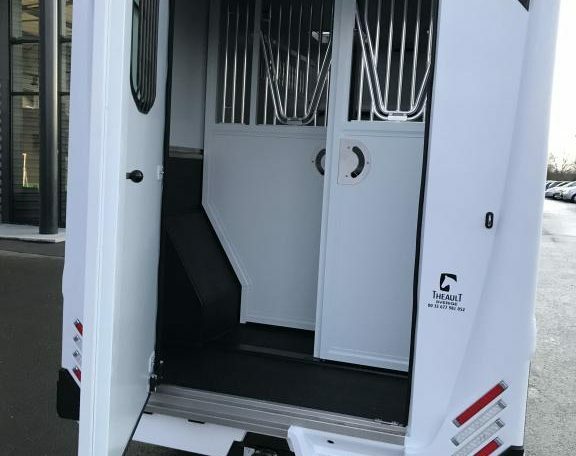 Thanks to its innovative different positions on the sliding partition, you can quickly adapt the horse area depending on your transportation constraints. 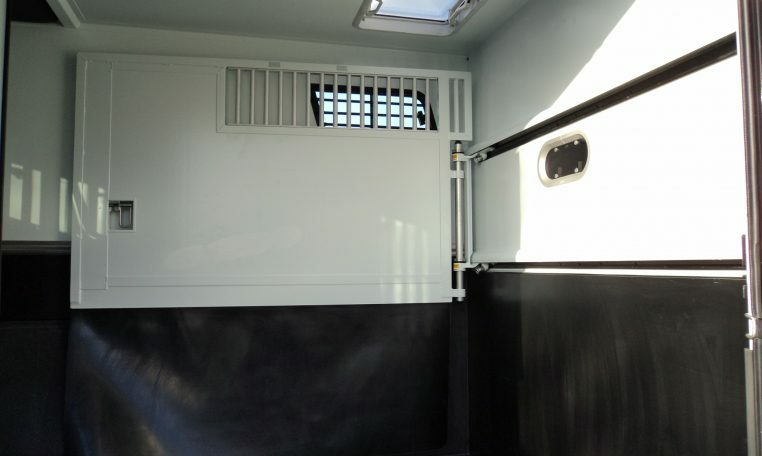 Load and unload your horses from the spacious stalls, with the wide and secure side-ramp you will appreciate the ease with which the ramp lifts and the doors click silently shut. 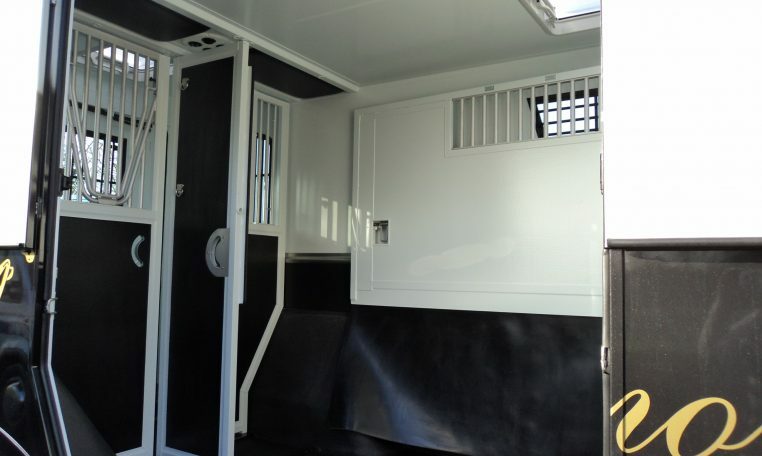 The improved sound absorption and cabin isolation maximizes transportation comfort for both horses and passengers. 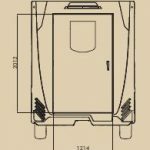 The rear door is available in 3 different configurations as to easily access the tack-room when your horsebox is coupled to a trailer. 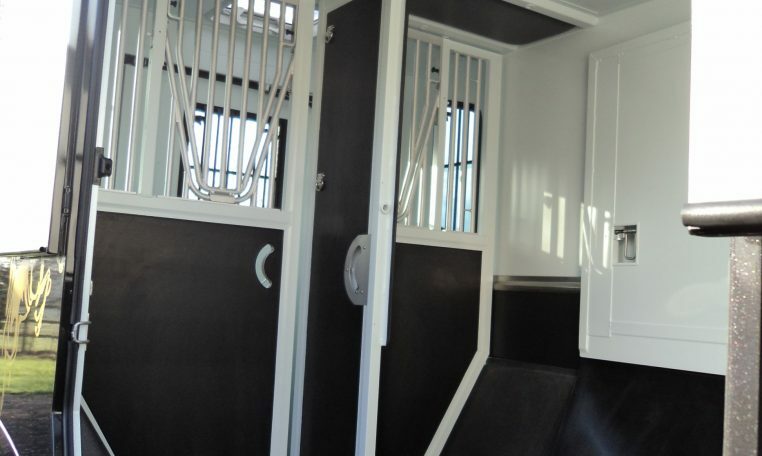 The opening cab window, which is standard on all Proteo Switch models, enables to observe the horses directly from the cabin. Manufactured in France in the factory in Normandy, the Proteo Switch is the result of THEAULT’s sharp know-how that guarantees uncompromising quality. The insulated sandwich panels with polyurethane foam used to manufacture the body provides significant advantages. In addition to heat and sound insulation, such material is very light, rot-proof and resistant to ageing. 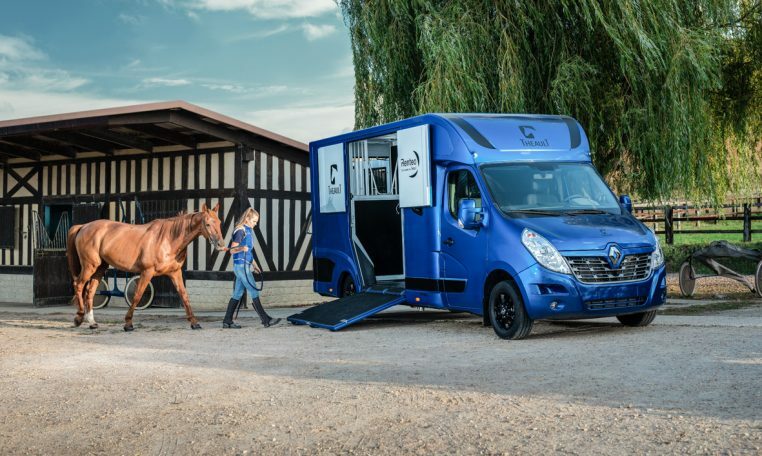 The core parts of the horsebox (body, lateral panels, rear frame, partition) as well as the insulated luton are designed collectively to be light and resistant to provide safety and comfort to horses and passengers. 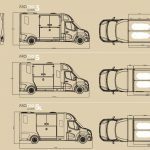 The panels have been successfully tested on a crash performance by the UTAC (French organization called “Union Technique de l’Automobile et du Cycle” which means Technical Union for Motor vehicles and Cycles), single French entity accredited to conduct such tests. The panels resist to a 1350 kg effort on every anchor point of the security belts. 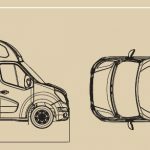 Thanks to this tests, the 3 and 5 passenger cabins have been homologated, certifying the very high resistance of the panels in case of emergency braking or impact. 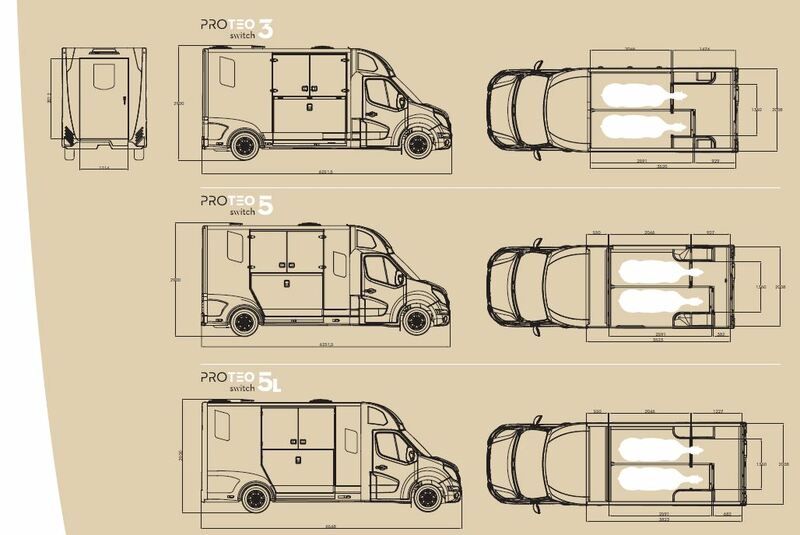 Great attention has been given to the design of the key parts of the horsebox, especially the ones that are subject to high pressures (panels, breast separation tube, partition). Designed as a single piece of aluminium, without any welding nor joints, these parts are thought to have the best weight / resistance ratio. 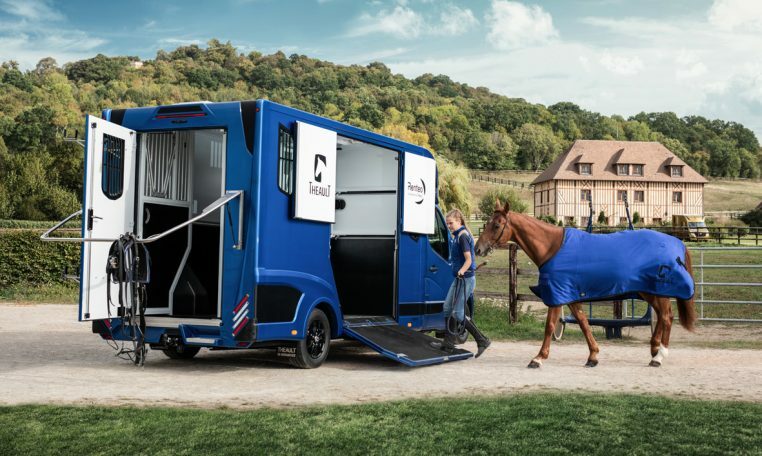 Besides a specific non-slip treatment on the horse part, the wide and secure side-ramp enables to load and unload horses in complete safety. The partition can be easily handled and moved in just a few movements. 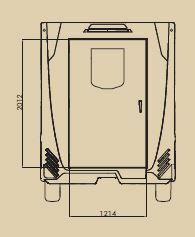 The wide rear door has been designed to allow rapid horse evacuation if necessary. 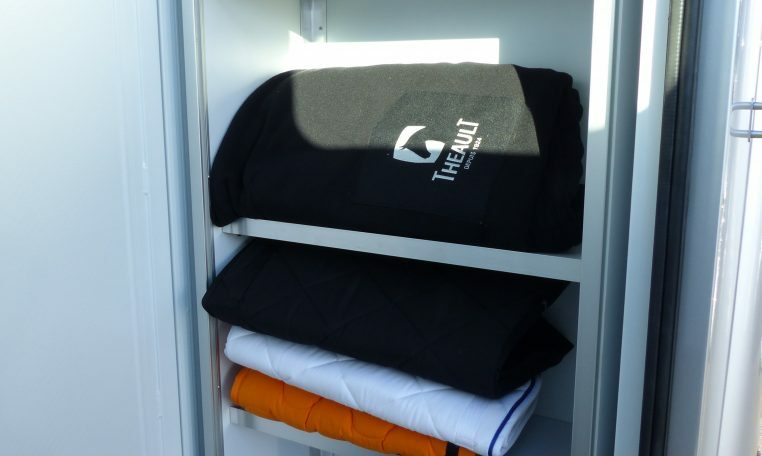 Each of our customers is different and you will have your own expectations and requirements: THEAULT is conscious about giving primary and sole attention to each customer individually. This is why we offer different tack-room layouts adapted to all kind of activities. 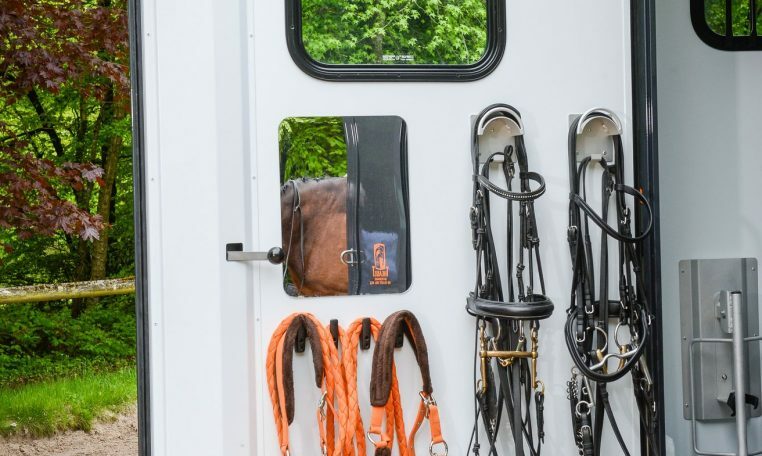 Shelves, hanging rails, storage accessories, saddle and bridle-racks can all be added. 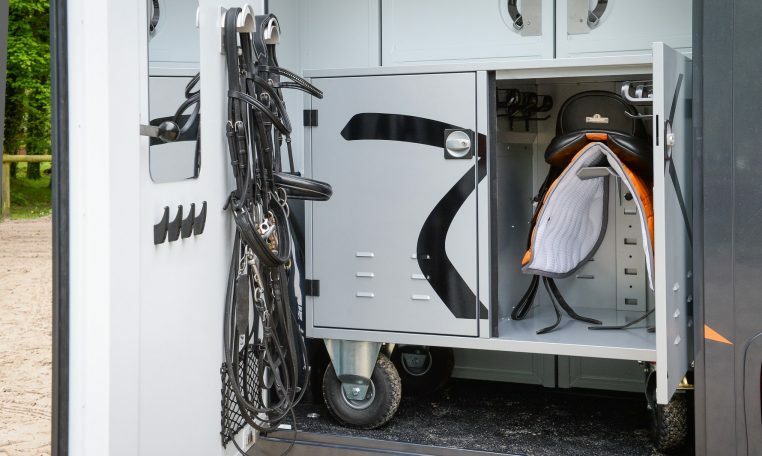 The tack lockers close thanks to a lockable sliding door securing equipment during transportation while ensuring storage space when away from the stables. Finance options are available from just £122/ week plus vat. *Contract Hire prices quoted are based on a 36 month contract with agreed 10,000 miles per annum, an initial rental, equal to 10% of list price, followed by 36 monthly rentals. Payment of the final rental does not transfer ownership of the vehicle and the vehicle must be returned to us. All prices are subject to VAT. Rates quoted include delivery and number plates only. Offer is subject to availability for business users only and are subject to status. 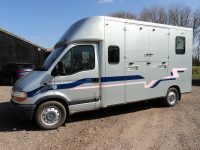 Atacanter Horseboxes are an Introducer Appointed Representative of Andrew Stanley Finance Ltd, 1 Holly Walk, Hampton Hargate, Peterborough PE7 8AB who is authorised and regulated by the Financial Conduct Authority.